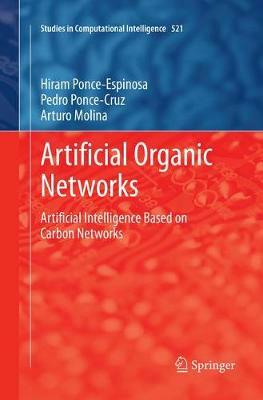 This monograph describes the synthesis and use of biologically-inspired artificial hydrocarbon networks (AHNs) for approximation models associated with machine learning and a novel computational algorithm with which to exploit them. The reader is first introduced to various kinds of algorithms designed to deal with approximation problems and then, via some conventional ideas of organic chemistry, to the creation and characterization of artificial organic networks and AHNs in particular. The text finishes with a consideration of directions in which AHNs could be implemented and developed in future. A complete LabVIEW ™ toolkit, downloadable from the book's page at springer.com enables readers to design and implement organic neural networks of their own. The novel approach to creating networks suitable for machine learning systems demonstrated in Artificial Organic Networks will be of interest to academic researchers and graduate students working in areas associated with computational intelligence, intelligent control, systems approximation and complex networks.